The ever versatile puff pastry put to work again. 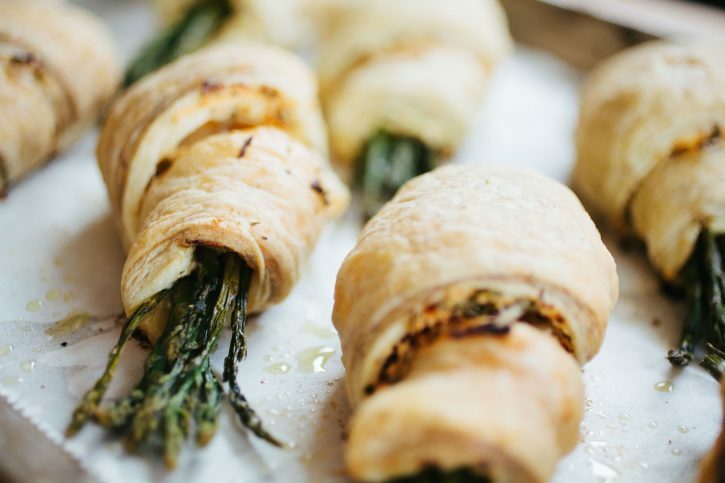 This time smeared with cheeses and spices, and wrapped around asparagus. Baked on the grill until light gold in color. The interior is creamy and cheesy, the exterior light and flaky! Combine the ricotta, parmesan and Italian dressing in a small bowl and mix well. Season with Cattleman’s Grill Italiano Seasoning. Taste and adjust seasoning as needed. Slice each square of frozen puff pastry into four equal sized strips. Spread an equal amount of the cheese filling over each strip. 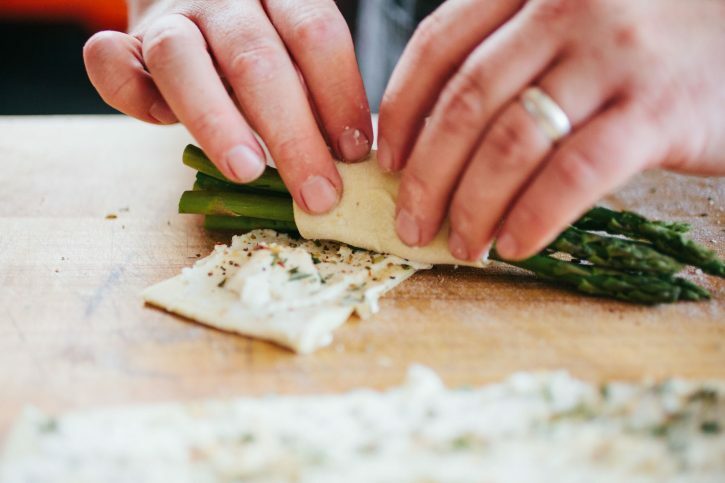 Divide the pound of asparagus into 8 equal portions. 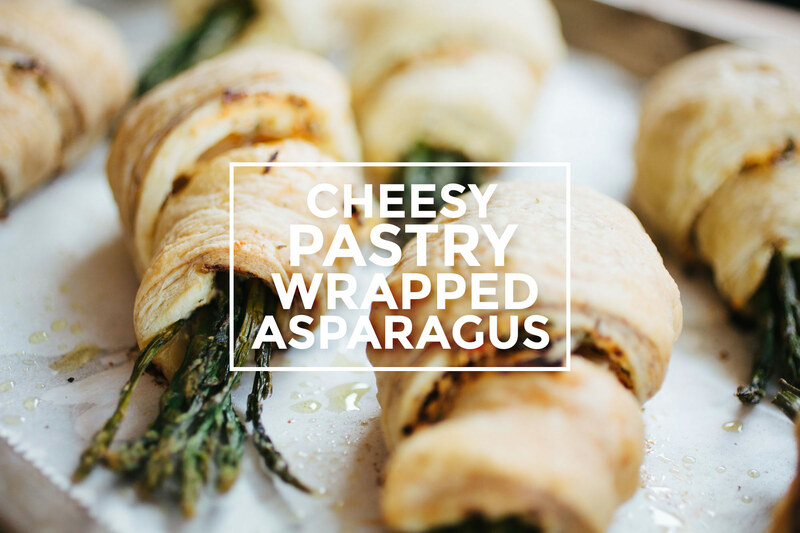 Lay a bundle of asparagus on the cheese topped pastry, and roll the pastry around the asparagus. 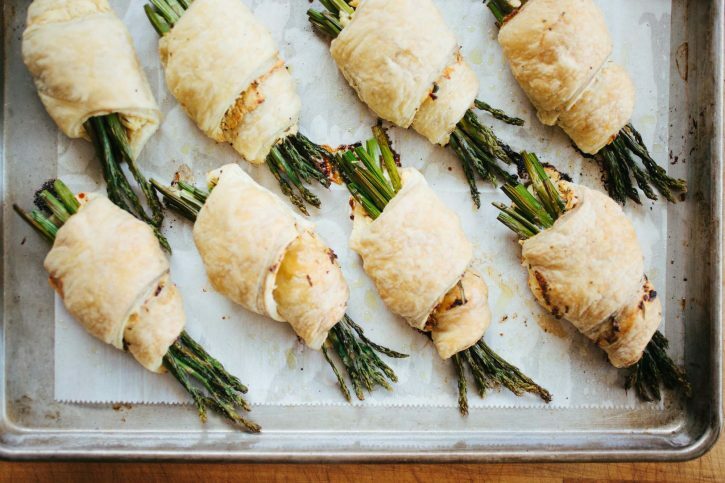 Place each serving on a parchment lined sheet pan. 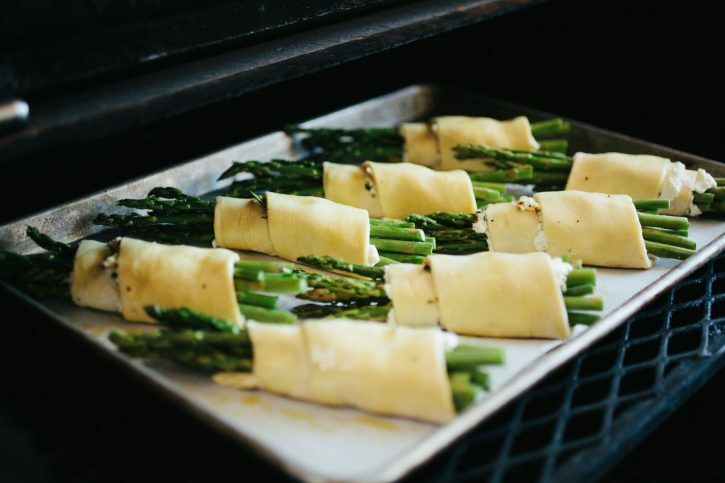 Place the sheet pan on the second shelf of the smoked and cook until the pastry is cooked through and light golden brown in color, about 45 minutes.